A new conservatory can be designed in a variety of styles, shapes and sizes, using different materials and finishes. The conservatory design you choose may be limited by a budget, but at the design stage the designers job is to ensure that the conservatory has an aesthetic appeal that complements your home as well as a practical design that suits your life style and how you intend to use your conservatory. 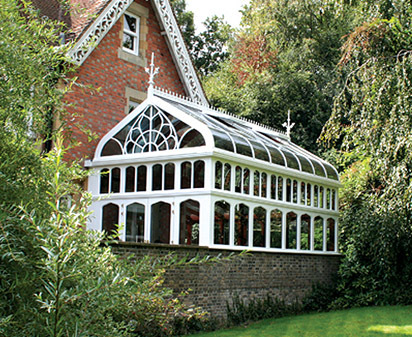 Despite these simple objectives, it’s surprising how many ugly conservatories get built! This can happen for many reasons, but we believe that a new conservatory should be designed to look as though it has always been an integral part of the property it is attached too and not a stuck on afterthought. How perfection is achieved depends on the conservatory designers knowledge of conservatory and architectural history, the load bearing qualities of timber, the insulation properties of different glazing and many other important factors. The conservatory designer should also have spent time with you understanding how you intend to use the conservatory as well as the conservatory design that may have first sparked your interest.